Owing to the sound industry experience, we have been successful in catering to the requirements of our esteemed clients by offering quality Industrial Couplers. Under this category, we offer our customers a wide array of Swivel Couplers, Right Angle Couplers and Adjustable Column Clamps. The offered couplers are widely used for appending different equipment together. We offer these couplers to the clients in different sizes, designs and specifications as per their requirements. We are engaged in offering a high quality range of Drop Forged Swivel Couplers to the esteemed customers, in varied specifications. These products are widely used for connecting two scaffold tubes at any angle. In addition to this, we make sure to offer these products to the clients in varied specifications, which has helped us to garner a vast clientele for our organization. We are being appreciated for providing our clients with the finest range of Double Coupler. Fabricated by making use of supreme quality required basic material these products hold several attributes such as longer service life, resistance against corrosion, sturdiness and high compressive strength. Complying to the illustrated parameters of the industry these offered products are available with us in different sizes and specifications suited to the multifarious demands of the clients. 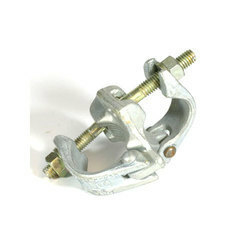 With the help of our distinguished professionals, we have been able to bring forth Swivel Couplers. The offered couplers are designed and manufactured under the surveillance of our experts following industry standards. These are widely used to connect end of two shafts in varied industries. Among our entire stock of Scaffolding Couplers, Mild Steel Fixed Coupler are highly reckoned in market due to their wide usage at construction sites. This type of coupler is specially manufactured in order to connect two tubes at right angles. With the use of only quality tested materials for manufacturing these couplers, we assure our clients with the superior quality range of fixed couplers. 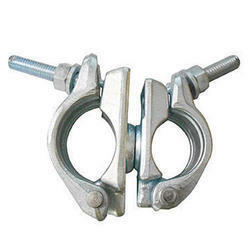 All these couplers are very firm and provide structural strength to the frame. There is no need of drilling, nuts and wedges to construct scaffolds when there is fixed couplers that allow quick mounting and dismounting of scaffold. All the couplers are wisely manufactured at our state of the art unit under the strict supervision of senior most professionals who have immense knowledge about the industry and the products. Our wide range of fixed couplers is available in varieties of sizes so as to be compatible with all type of scaffolds. Our valued clients can avail the best-in-class range of Pressed Fixed Coupler. Developed using supreme quality require basic material these offered products satisfy stringent industry laid parameters. Furthermore, these offered products are being appreciated for their longer service life, resistance against corrosion, sturdiness and high compressive strength. We have made the offered products available in different specifications so as to meet divergent demands of the clients. Today, construction industry is demanding the most cost effective and easy way to erect a scaffold, therefore, we have manufactured a premium range of Pressed Right Angle Coupler that is highly acknowledged for its high degree of precision engineering features. 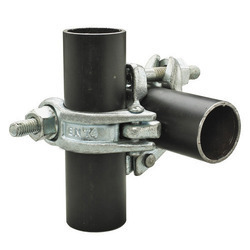 One of the most effective and simple way to erect a scaffold and connect scaffolding tubes, these right angle couplers remarkably reduce on cost and time. Stringent quality measures are followed while manufacturing so that our clients can use these couplers without any hindrance. We procure high grade steel and brass for our assortment of couplers in order to ensure their proficiency and reliability in performance. The entire range of couplers is available in various specifications so as to meet wide industrial requirements. 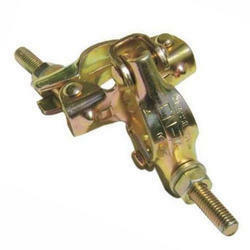 The range of high quality Putlog Coupler is designed by a team of highly skilled professionals. With thorough knowledge of the industry, we are engaged in manufacturing and supplying Right Angle Couplers. Designed and made by the professionals using high quality metal, these couplers are used for linking two scaffold tubes together at right angles. Before the end delivery, these products are stringently checked by the quality analyzers on varied parameters to ensure their defect-free nature. 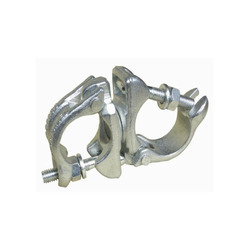 Among our entire stock of Scaffolding Fixed Coupler, fixed couplers are highly reckoned in market due to their wide usage at construction sites. This type of coupler is specially manufactured in order to connect two tubes at right angles. With the use of only quality tested materials for manufacturing these couplers, we assure our clients with the superior quality range of fixed couplers. 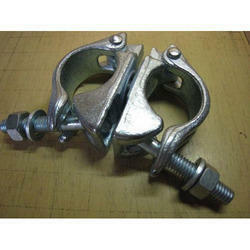 All these couplers are very firm and provide structural strength to the frame. There is no need of drilling, nuts and wedges to construct scaffolds when there is fixed couplers that allow quick mounting and dismounting of scaffold. All the couplers are wisely manufactured at our state of the art unit under the strict supervision of senior most professionals who have immense knowledge about the industry and the products. Our wide range of fixed couplers is available in varieties of sizes so as to be compatible with all type of scaffolds. 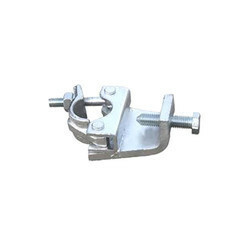 Recognized as the most economical and safest solution for connecting scaffold tubes, our manufactured Scaffolding Pressed Coupler is highly preferred among industrial clients. All these steel couplers are engineered under strict regulatory conditions so that the coupler complies with all the standards and up-graded norms of the industry. We presented this pressed steel coupler in the market as our dynamic product embarked with the highest level of durability. In our company, the procurement of raw materials is done by our senior most professionals who make sure that the coupler is made out of certified grade steel alloys. We, Devo India give complete assurance to our clients about the efficiency and quality of the coupler, it does not matter how many times you use it, you will always get a stable scaffold on every use. At our end, we manufacture a wide gamut of various Forged Swivel Coupler that are in huge demand at both national as well as international market place. Out of all the couplers, swivel couplers have proved to be the most cost effective couplers to be used in erecting scaffolds. 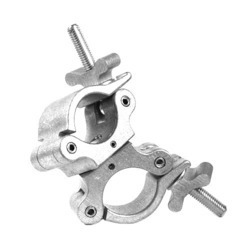 This type of coupler is an ideal choice for joining scaffold tubes at any angle with less movement. In this coupler, there is a swivel pin that connects each half of the coupler. All our Devco Swivel Couplers are highly reckoned in market for their sturdy construction and rigid structure. In compliance with the industrial standards & norms, all these couplers are made from high grade steel for their excellent durability.